Well to begin with I have to say that I have not read the previous books in the series and although readers that have are recommending doing so I didn’t feel at all out of my depth or lost at anytime. I am sure that reading the whole series is a brilliant way to go but just saying it can be stand alone too. This is a little beauty to read, a real mystery of a family seemingly involved in tragic accidents and suicides over the years or is there a murderer on the prowl wiping this family out for some reason? Well when things don’t quite add up in the present day investigation, it begins to unsettle cases from years before too. Detectives Ari Thór and Tómas make a perfect coupling for the case. There is a more than a normal urgency about solving this case quickly as Christmas is rapidly approaching and Ari Thór is very soon to become a father but there aren’t any short cuts. The story itself is not a fast paced read but more of a get all the facts and lets see who the most likely suspect is. It is a methodical investigation no matter how urgent the result is wanted. I loved the area it was set as there was a very raw beautiful ruggedness about it all, with a very unforgiving landscape that suited some of the seemingly cold characters in the story. The place and the people seemed timeless with an array of suspects that all appeared to be capable of murder, in this quite deep and dark story surrounded by a real whodunit mystery. 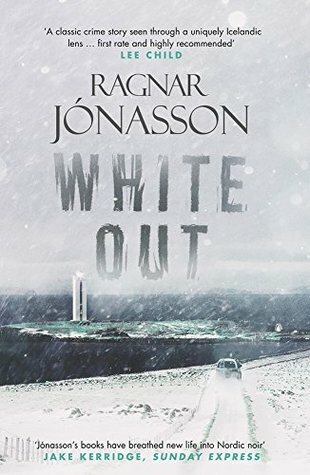 This is a super Nordic Noir book with a definite chill factor that gave me goosebumps and put a lump in my throat. A super mystery to put your wits against. I wish to thank Orenda Books for supplying a copy of this book to me which I have honestly reviewed. I am desperate to read this series I love the sound of it and have seen nothing but great reviews.